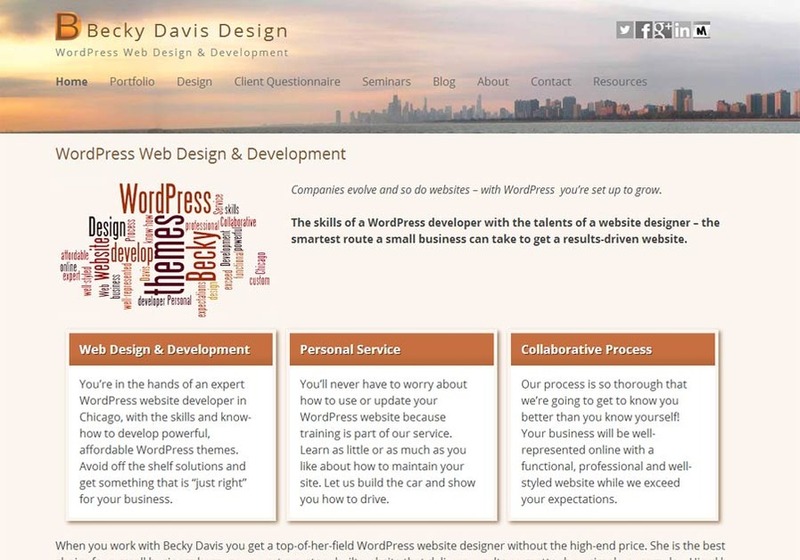 Becky Davis Design offers website design and development for all your business needs. Whether you're a small business or entrepreneur, I'm committed to providing you with outstanding service, quality work and the guidance you need to make the right decisions. I also teach a seminar at SCORE on Designing Your Website, Things all Small Business Owners Should Know. I'm all about your education and making sure you understand the process! Becky Davis Design, custom WordPress themes are what I do.